I am going old school today with two awesome and sadly discontinued green polishes. OPI Creme de Menthe is from the X collection, a very mysterious collection in which Rain Forest and Jasper Jade were also released. I don't have other information on that collection except for the fact that the polishes are rare and hard to find and if they can be found, grab them! While I would love to get those other OPIs mentioned, Creme de Menthe, a gorgeous mint green with gold shimmer, has always been the one that I actively looked for. 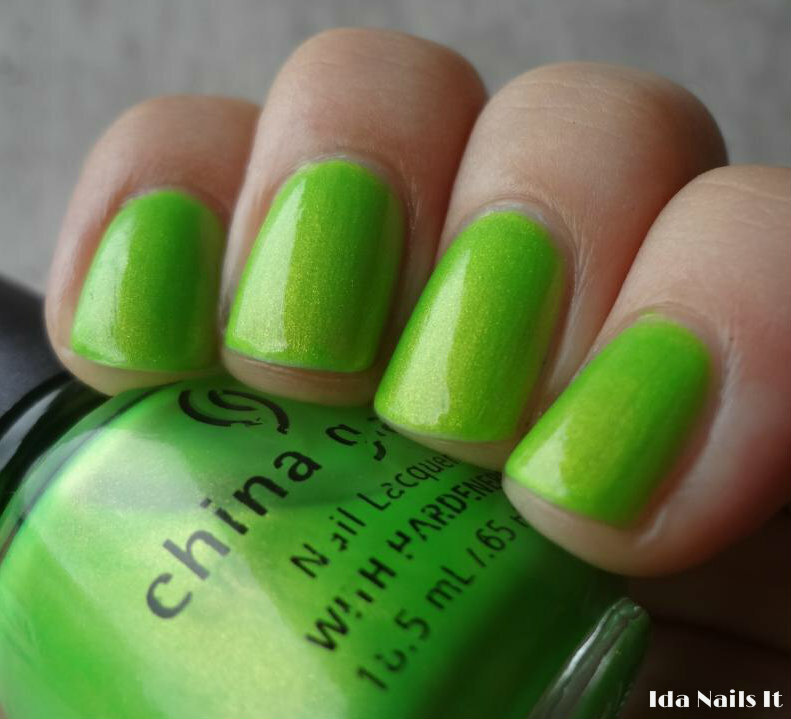 China Glaze Limonyte was released in the 2005 Nervy Neons collection. I was very lucky to get this one on eBay for much less than I ever expected to pay for it. Another polish with gold shimmer but this one is a searingly bright neon green. Very much a "WHOA, that is BRIGHT" neon green. China Glaze I'm With the Lifeguard, which came out last year in their 2012 Summer Neons collection, is similar but does not have the same beautiful gold shimmer. As I mentioned, these are both discontinued and rare polishes but they do still pop up on eBay from time to time, so be on the lookout.